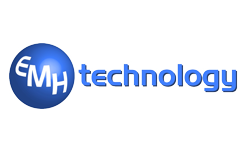 EMH Technology Limited offers a complete IT service from; fully bespoke software design, IT support, system monitoring and back up right through to full business solution transformation. They work closely with their clients to provide a completely tailored service in response to their requirements. As with many companies offering these types of skills, sales is not generally an area of expertise and, whilst there is always a steady flow of recommendation and repeat business, ensuring a feed of new business is vital to help the company grow. Eric Hughes Owner of EMH Technology came to VSL needing both data for local businesses and a caller that could grasp the services they provide and be able to present this, carefully positioning them as more than just another IT support company. VSL provided EMH with a data base of local companies within a 30 mile radius and made contact with these companies introducing EMH’s services. The competition in this area is fierce and positioning EMH correctly was vital to the success of the calling. The data base was called through, updating the contacts both looking after the IT and also the MD responsible for ensuring the smooth running of the business and taking two gently approaches to EMH’s services both from an IT support perspective and offering a review of the technology in place and they from a business approach looking at streamlining the business process. The leads were slow and steady although business was generated an adjusted approach was taken to improve the ROI. Now about 3 years on we continue to work with EMH and using a combination of focused emails to target contacts and following up specific interest we have reduced the calling and improved the ROI. We will continue to adjust and scale up and down the calling to ensure that we provide the best possible service.